REN V-Cense Anti-Ageing Skincare will actively protect, detoxify and revitalize skin that is stressed, showing the first signs of ageing or is lacking vitality. REN V-Cense Anti-Ageing Skincare also fights against environmental aggressors such as sun and pollution. 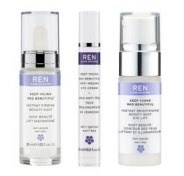 Why choose REN V-Cense over other REN skincare products? Specifically targets fine wrinkles, lack of radiance and suppleness, tired skin, dryness and dehydration. What are the benefits of using REN V-Cense? Smoothes and reduces the appearance of wrinkles, rehydrates intensively, revitalizes and restores radiance, detoxifies and repairs UV damage. 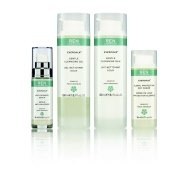 Rejuvenate, Protect And Reduce Wrinkles with REN V-Cense Youth Vitality Day Cream. REN V-Cense Revitalising Night Cream will reduce wrinkles, relax muscles and protect against free radicals.